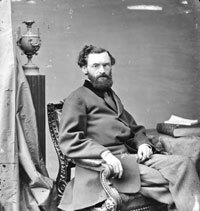 In a letter to Carl Schurz on June 18, 1860, Mr. Lincoln wrote: “To the extent of our limited acquaintance no man stands nearer my heart than yourself.”1 Up to that point, Schurz had not been a political supporter of the President. He had been sufficiently prominent to second the nomination of William H. Seward at the Republican National Convention in Chicago the previous month. 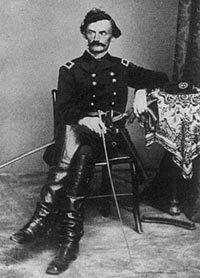 But over time and in his capacities as politician, diplomat and general, Schurz came to know Mr. Lincoln. When I saw Mr. Lincoln the next day, his mind was still so full of the great event that it gave him evident delight to tell me the whole story. He described so vividly the arrival of the first tidings of disaster, and his own and the several cabinet members’ dismay at the awful prospect thus opened, and their sighs of relief when the telegraph announced the appearance of the ‘the little cheese-ox’ which drove the rebel goliath off the field, that I have been for years under the impression of having been personally in the President’s room when it all happened, and when the despatches successively arrived. A careful scrutiny of circumstances convinced me at last ? to my regret, I must confess ? that I was not at the White House that day, but the day following. This is one of the cases which have made me very anxious to verify my memory by all attainable outside evidence in writing this story. The conversation then turned upon my own personal situation. 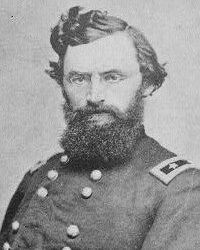 I repeated to Mr. Lincoln that I wished to resign my position as Minister to Spain; that it was an intolerable thought to me to lead a life of ease and luxury and comparative idleness while the republic was fighting for its life, and most of the men of my age were in the field at the post of danger; and that now, our relations with Spain being in a satisfactory condition, and my business of reporting to him on the public sentiment in Europe, and of lending a helping hand in quickening the anti-slavery current being substantially accomplished, I was anxious to enter the army. Mr. Lincoln said that, remembering how reluctantly I had gone abroad last June he had thought about this himself, and had talked with Mr. Seward about it. Seward had told him that he was very well satisfied with my services; that I had won for myself a good position with the Spanish Government; and that he wanted me to go back to Madrid. Would I not consider the matter further for a week or two, or as long as I liked, and see Mr. Seward myself.? This, of course, I could not decline to do. Mr. Seward, when I called upon him, was very kind, even complimentary; invited me and Mrs. Schurz to dinner, and urged me strongly not to give up the mission – which was very gratifying to me, inasmuch as originally he had, for very good reasons, opposed my appointment. But in all our conversation he did not with a single word mention the subject of slavery, an omission which I could not but think significant and disquieting. Yours of the 8th, was, to-day, read to me by Mrs. S[churz]. We have the elections; and it is natural that each of us will believe, and say, it has been because his peculiar views was not made sufficiently prominent. I think I know what it was, but I may be mistaken. Three main causes told the whole story. 1. The democrats were left in a majority by our friends going to the war. 2. The democrats observed this & determined to re-instate themselves in power, and 3. Our newspapers’s, by vilifying and disparaging the administration, furnished them all the weapons to do it with. Certainly, the ill-success of the war had much to do with this. Roy P. Basler, editor, The Collected Works of Abraham Lincoln, Volume IV, p. 78 (Letter to Carl Schurz, June 18, 1860). Hans. 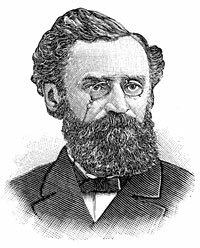 L. Trefousse, “Carl Schurz Reconsidered”, Lincoln Herald, Spring 1981, Volume 83, No. 4, p. 566. Carl Schurz, Reminiscences of Carl Schurz, Volume II, p. 327. 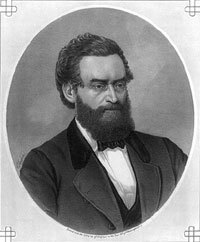 Carl Schurz, Reminiscences of Carl Schurz, Volume II, p. 328-330. 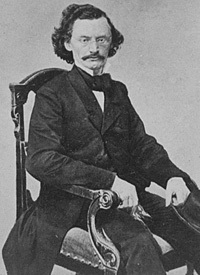 Carl Schurz, Reminiscences of Carl Schurz, Volume II, p. 393-394. Roy P. Basler, editor, The Collected Works of Abraham Lincoln, Volume V, p. 493-495 (Letter to Carl Schurz, November 10, 1862). Carl Schurz, Reminiscences of Carl Schurz, Volume II, p. 395-396. Roy P. Basler, editor, The Collected Works of Abraham Lincoln, Volume VII, p. 244 (Letter from Carl Schurz to Abraham Lincoln, March 13, 1864). Roy P. Basler, editor, The Collected Works of Abraham Lincoln, Volume VII, p. 243-244 (Letter to Carl Schurz, March 13, 1864). Roy P. Basler, editor, The Collected Works of Abraham Lincoln, Volume VII, p. 262 (Letter to Carl Schurz, March 23. 1864). Michael Burlingame, editor, With Lincoln in the White House: Letters, Memoranda, and Other Writings of John G. Nicolay, 1860-1865, p. 68 (Letter to Carl Schurz, February 9, 1862). Michael Burlingame, editor, With Lincoln in the White House: Letters, Memoranda, and Other Writings of John G. Nicolay, 1860-1865, p. 133 (Memorandum, March 30, 1864). 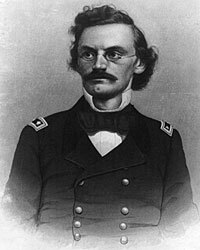 Carl Schurz, Autobiography of Carl Schurz, p. 309-311.